So it is all over. And we can have our lives back. 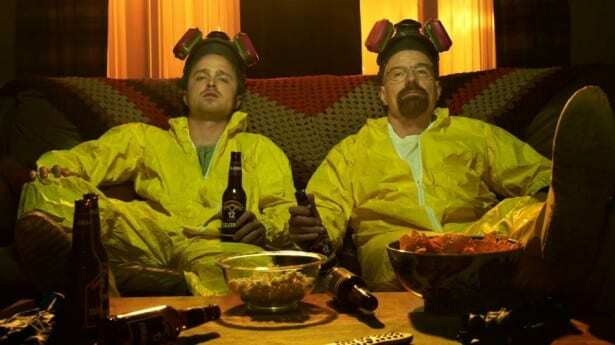 It has been an amazing five year ride and now it has come to an end in such spectacular fashion, can we dare ask the question, is Breaking Bad the greatest show ever? No. To be frank, it is not the greatest show EVER but is it the best show of our generation? YES. Breaking Bad is up there with The Sopranos, The Wire, Dexter and Game of Thrones, but it is all about the finale which was able to give viewers the perfect ending a show of this importance deserves. In case you somehow missed it, “Breaking Bad” follows protagonist Walter White (Bryan Cranston), a chemistry teacher who lives in New Mexico with his wife (Anna Gunn), teenage son (RJ Mitte) who has cerebral palsy and baby daughter. White is diagnosed with Stage III cancer and given a prognosis of two years left to live. With a new sense of fearlessness based on his medical condition, and a desire to secure his family’s financial security, White chooses to enter a dangerous world of drugs and crime and ascends to power in this world. Okay… SPOILER ALERT … we have warned you. The series explores how a fatal diagnosis such as White’s releases a typical man from the daily concerns and constraints of normal society and follows his transformation from mild family man to a kingpin of the drug trade. No spoilers here. You have to buy the Blu-Ray (HD is a must) to see how this story ends. You will not be disappointed as the Walter White experience is a must.